Clear your week. Cineversity has released all of the presentations from NAB 2012. All the tutorials and presentations from all the great presenters for you to watch and learn. They posted day 2 and 4 of my presentation since I did two entirely different tutorials. Don’t forget to watch all the other talented presenters from the show. What a great year for Cinema 4D Presenters at NAB. UPDATE: For those of you having streaming problems, I am working currently with Maxon to find a way to get these to play faster for you. Sorry about that. UPDATE 2: Maxon has just uploaded all of the videos on Vimeo and are playing much better. Thanks, Maxon! YES, this is super! Really wanted to see them live but did not have the time. Thanks for the link! Awesome time indeed. Good hanging with you Nick! But I wish if u could post them here as youre tuts or on vimeo..
the preview is too slow !! Same here. The player at Cinerversity is not working! Me too. Tried to watch the Las Vegas tut multiple times but it cuts out on specific points in the video. Was able to watch most of the tutorial though. Love your take on this, Nick. Sorry about the problems. I sent Maxon a message and are trying to fix this for you guys. I will try to make sure they are easier to watch somehow. Really wish they would just put these on Vimeo. Their video player is simply awful. I know they’re trying to stop people from downloading these, but it makes for an excruciating experience trying to watch (and failing). Really wish Maxon would figure this out. Thanks alot nick.. really appreciate That..! Hey, Nick & Chris! Was nice to finally meet you guys at NAB. And thanks for your contributions to the community. Also, I’m sure you both are aware, but in case you didn’t know… I went over the Adobe booth on Wednesday and the group that did the IRONMAN HUD for the new Avengers movie was doing a breakdown of the design and execution and he mentioned that one of the modules of the HUD is created using the CITY KIT. Just thought I’d pass that along. Super cool products for Superheroes™. Yes, I just trademarked that. 🙂 Keep it up!! The explanation of the neon Las Vegas is also very good. The original site is Belgian and is also doing very well. bro, please don’t do it.. I LOVE YOU SO MUCH and ? love your projects too. IF YOU DIE I WANNA DIE WITH YOU , IF YOU GO I WANNA GO WITH YOU!! Thanks a lot for your help, I’m hoocked up by C4D because of you. Makes it a LOT easier to watch! whats about your new Plugin? It would be great if the videos were downloadable. The gimpy streams have been driving me mad. Awesome stuff man! Nice presentations. Saw your Maxon presentations Live, you and all the other guys were excellent. Thanks a lot Nick it was great fun. The tutorials were perfect! Learned a lot from them! But I now noticed that Chris schmidt is not Chris Schmidt and the other way around….what? 2 famous C4D experts with the same name? Or is the other Chris Smith? Anyway, I’m looking forward to the CS camera tool, it looks awesome! Thanks Nick for all your tutorials!! I noticed that Maxon was running videos from NAB 2011 while they were archiving the 2012 videos…anyone know where those can be found??? NAB 2011 and other archived videos . http://www.livestream.com/cineversity . just scroll through the ‘latest videos’ section. you should find it there. Hey Nick, thanks for the tutorials. Your NAB piece gave me some inspiration for this little ident I created over the weekend. Will the plugin work with R12? Does anybody know how we can make this in cinema 4D? Please release plug-in ASAP :))) can’t wait!!! PLUG-IN PLUG-IN …. Thanks for yet another inspiring, easy to follow tutorial! 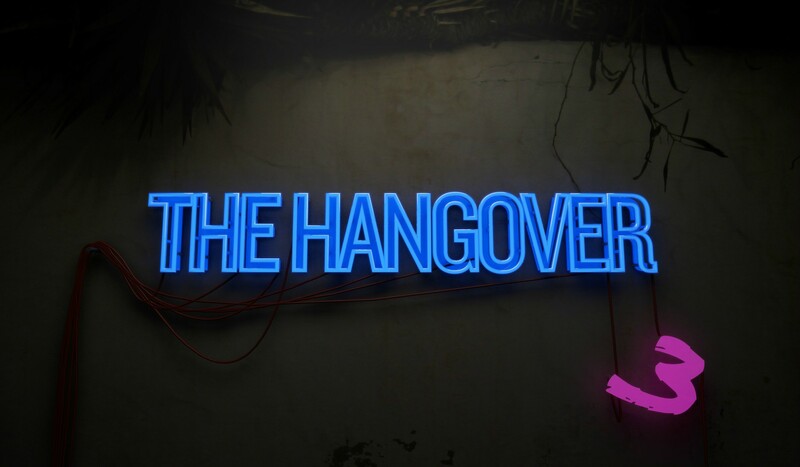 I made a neon sign for Hangover 3. I watched it! It`s awesome! I’d like to know how can i make a metaball with spline warps? Great work Nick! You are great!